Dia:Beacon: Located near downtown Beacon NY, this is a former Nabisco box-printing factory turned contemporary art museum. The museum features the Dia Art Foundation’s collection of art from the 1960’s to the present as well as special exhibitions, performances and public programs. If you have time for a meal, The Roundhouse, a boutique hotel with nice rooms, has a well-known restaurant by chef Terrance Brennan. The more casual Kitchen Sink Food & Drink also gets good reviews. Storm King Art Center: Located in New Windsor NY, 50 miles north of the George Washington Bridge, this is one of the country’s best Sculpture Parks with more than 100 sculptures throughout the 500 acre property. You will find incredible sculptures from such well-known artists as Alexander Calder, Sol Lewitt, Louise Nevelson, Alexander Liberman, David Smith, Henry Moore, Isamu Noguchi, Maya Lin, Richard Serra and Roy Lichtenstein. 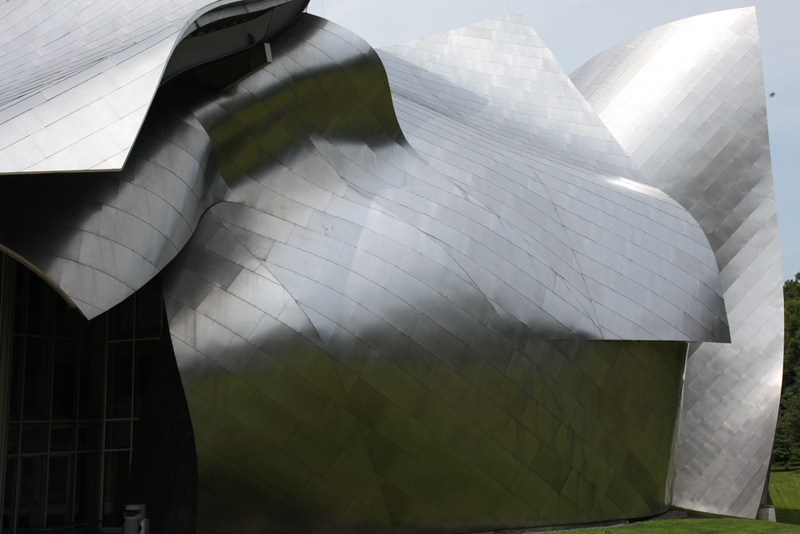 The Fisher Center for the Performing Arts: Located in Annandale on Hudson at Bard College, the Center opened in 2003 and was designed by famed architect Frank Gehry. It consists of two theaters and rehearsal studios. Throughout the year Bard offers performances in opera, theater, music and film. Well-known are the The Bard Music Festival and Bard SummerScape programs. The Spiegeltent offers cabaret, jazz and other music and dance performances in the summer. I saw a very creative production of the musical Oklahoma that got great reviews. The Fields Sculpture Park & Architecture Omi, Omi International Arts Center: This is a wonderful sculpture park plus arts center that features special exhibitions and residency programs in art, dance, music and writing. They also have special events including Summer Open Studios, exhibition previews, artist talks, kids day camps, art labs for teens, music and dance performances and more. The visitors center and cafe is located in a beautifully designed contemporary building with exhibition gallery. 1405 Route 22, Ghent NY. Olana State Historic Site: Well-worth the visit is this mansion overlooking the Hudson River just south of Hudson. This is the home and studio of Frederic Church, the famous American artist from the Hudson River School. This is a lovely 250 acres site with a home that combines a mixture of Victorian architectural elements and Middle-Eastern decorative motifs. He was an artist and explorer who traveled the world. A highlight is touring his studio. Remember to book your reservation online before you go. Cedar Grove: Across the river from Hudson is this National Historic Site. Cedar Grove is the home and studio of Thomas Cole. A painter, poet and essayist, Cole is famous for his paintings of the wild and untouched landscapes of the Hudson Valley. He became the leader of the artists known as the the Hudson River School, which included Asher Durand, Frederic Church, Sanford Gifford, Jasper Cropsey and more. Church actually studied with him. It is best to book your tickets online before you go to make sure you get the time slot you want. Hopefully by the time you visit, you will be able to see the completed reproduction of Cole’s studio which is being built on the original foundation, based on vintage photos, sketches and paintings. Check the calendar for special events and exhibitions. 218 Spring St. Catskill NY. After your tour make sure to drive through Catskill to see some of the beautiful homes and walk the small downtown area. In addition you hike and visit some of the sites painted by Cole, Church and the other Hudson River School painters. If you have time you might visit Hudson Valley Center for Contemporary Art in Peekskill NY. If you get to New Paltz, you might plan a visit to the Samuel Dorsky Museum of Art at SUNY New Paltz. I didn’t see it, but I would like to visit Manitoga, The Russel Wright Design Center in Garrison, NY. This is the mid-century modern home and gardens of Russel Wright, a pioneer in industrial design. It is listed on the National Register of Historic Places and is a National Trust for Historic Preservation Historic Artists’ Home and Studios Site.